Of all the planning that goes into a wedding, there are few things that will impact your wedding day more than the venue. This is where the majority of your wedding will be spent, and if you plan on making your dream wedding a reality, the venue needs to align with your ideal vision. Before coming to a final decision, we’ve shared some things to consider before signing on the dotted line. Two factors that will narrow down your options dramatically are the number of guests attending and your budget. With many venues having minimum requirements as well as capacity limits, having a rough estimate of your guest list will give you a better idea of the type of venues that are best suited for you and your guests. If you have a flexible budget this gives you some wiggle room, as often times places that require a minimum number of guests will still rent the venue if you are willing to pay the difference. If you are working with a tighter budget, try to have as much flexibility as possible with your wedding date. The season, day of the week, or even the time of day can knock thousands of dollars off your total cost, giving you more options for incredible venues without breaking the bank. *Helpful tip: Make sure to ask whether the rental costs include things such as tables, chairs, linens and lights, as these can add a significant amount to the total cost. When looking at empty venues it can be difficult to imagine how it will look on your big day. Instead of relying solely on imagination, take a look at some professional pictures taken of the venue during an actual wedding and/or event. Whether it’s Pinterest, the venue’s website, wedding coordinator galleries or features we share, seeing how the space can be transformed, may make a huge difference in your decision process. * Helpful tip: As you scroll through images, evaluate things such as lighting. As photographers and videographers, we love natural light. But, is that a requirement for you? How will their light fixtures and choice of lighting affect your overall vision for your big day? Whether you’re having a big blow out wedding or a small affair with family and a few friends, your wedding day is going to be busy. Trying to balance too many factors can lead to a stressful situation, and the venue you choose can be the solution that simplifies your day. Are the ceremony and reception locations nearby? Is there an outdoor location on-site to take wedding party photos? Are overnight accommodations in the same building or within walking distance? Is there accessible parking to accommodate all your guests? Is there the potential to hit heavy traffic that will cause delays to your schedule? If your wedding is outdoors, does the venue have a backup plan in case of weather? Choosing the right venue takes the burden of many logistical issues off your shoulders and will allow you to relax as your wedding day runs smooth from start to finish. When you choose your wedding venue it should be because in your heart it feels like the right place for you to enjoy one of the most amazing days of your life. Although it’s important to weigh all the factors during your selection process, you have to trust your gut and be confident in your decision. This way, when your wedding day arrives you can spend the day with no regrets, cherishing the beauty of your wedding and the perfect location you chose to enjoy it at. Search for “Event Venues” rather than “Wedding Venues” as not all locations are advertised as wedding venues. Make a list of possible venues using sites such as Google, Wedding Wire, The Knot and more. Consider places that have sentimental value for you and your partner. 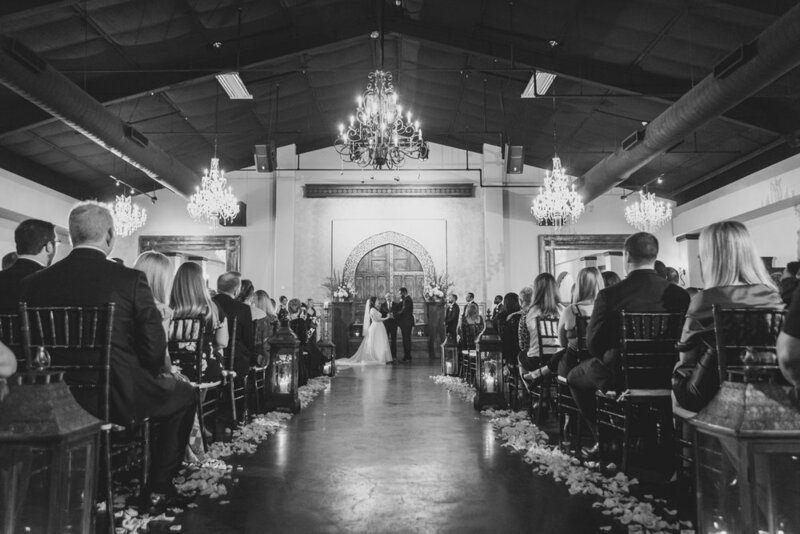 Get to know the event coordinator and key staff that will be working on your wedding day. Ask about additional requirements such as catering, alcohol, noise restrictions, curfew, etc. Visit the venue more than once on different days of the week, in different weather if possible. Check reviews and ask for referrals from the venue. Don’t be afraid to ask too many questions! We hope this helps you during your venue search and look forward to the opportunity to join you on your big day!